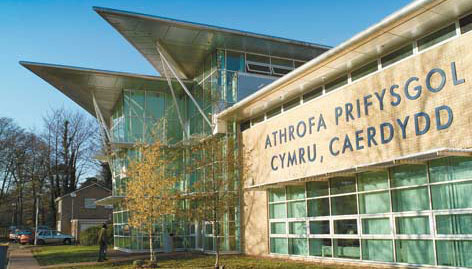 The technology behind a new multi-application security solution for the University of Wales Insitute, Cardiff (UWIC) is built on SALTO’s XS4 proximity system and integrates access control with ID card and cashless payment functionality into a single campus wide system. UWIC has a policy of installing appropriate security throughout its campuses that not only supports the securing of areas, but also the provision of greater access to its facilities in a controlled and managed way. To achieve this the University required a full upgrade of its networked and offline magstripe access control system to a modern, state-of-the-art product that would provide networked access control and cashless functions via a single card. Employing the EU ‘Competitive Dialogue’ procurement procedure, they carried out a comprehensive tendering and evaluation process to source the best available supplier/solution mix to not only deliver the improved secure environment they wanted, but one which could also seamlessly integrate with their existing Magna Carta Facility Pro Smart Campus system. 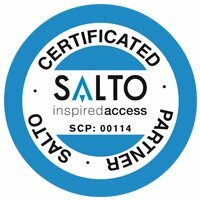 SALTO Systems was selected as the most technically advanced product manufacturer/supplier, comprehensively meeting the University’s technical specifications. Local SALTO Inspired Business Partner Lock-Tech were appointed to carry out the installation, simplifying overheads and arrangements for both end users and system administrators.